Hwang Jung-Min, born September 1, 1970 in South Gyeongsang Province, South Korea, is a popular & award winning South Korean actor. Since an early age, Jung-Min has been fascinated with movies. During the 3rd grade of middle school Jung-Min decided to pursue acting after watching the musical "Peter Pan." His mother supported his decision and brought him an application for Keywon High School of Arts. Jung-Min was admitted into the high school and began his study of acting in earnest. During this time Jung-Min even started a theatrical company with friends, but after only a few people came out to watch their plays that idea was quickly shelved. For college, Jung-Min attended Seoul Institute of the Arts as a theater major. After graduation he continued to act on stage in various plays. In 2001, Jung-Min landed his first acting role in a feature film after sucessfully auditioning for the role of Kang-su in "Waikiki Brothers." In that film, Jung-Min played a drummer for a fading dancehall/wedding band. He practiced playing the drums for 2 months prior to working on that film and recorded music for the film. The next year, Jung-Min performed in the movie "Road Movie" as a gay, homeless drifter. His performance received the attention of many critics. In 2003, Jung-Min landed his break-out role in the sexually charged "A Good Lawyer's Wife." Jung-Min played, opposite to So-ri Moon, a lawyer involved in an extra-marital affair and, because of this, causes his wife to look for fulfillment elsewhere. "A Good Lawyer's Wife" did well at the box-office while also receiving favorable reviews from critics. Since that time Jung-Min has frequently displayed his level of depth as an actor by performing in a wide range of roles: Mob boss in "A Bittersweet Life," naive country boy in "You Are My Sunshine," reckless cop in "Bloody Tie," weak insurance salesman in "Black House," and mentally disturbed man in "A Man who was Superman." More recently, Hwang Jung-Min performed as the first ever Joseon era detective in "Private Eye" and also starred in his first ever television drama "The Accidental Couple" along with co-star "Kim Ah-Jung." With Jung-Min's vast range in acting, he is frequently mentioned alongside Song Kang-Ho and Sol Kyung-Gu, as one of the best actors working in South Korea. In 2005, Jung-Min married long time girlfriend Kim Mi-Hye. The couple first met while in high school (Mi-Hye was an actress in musicals) and they have since kept their relationship through several decades. The couple also has one son from their marriage. Jung-Min's hobbies included playing basketball and musical instruments. ran Apr 13 2019 10:35 am Best Korean actor ever!!! Y'all just watch all of his movies and you will know how great this guy is!!! YooahVicky7 Jun 22 2018 1:18 pm The bestest favest korean actor!! He executes every role so well! Love this guy!? xiahjr Jul 25 2017 6:14 am i think he's the greatest actor in south korea. 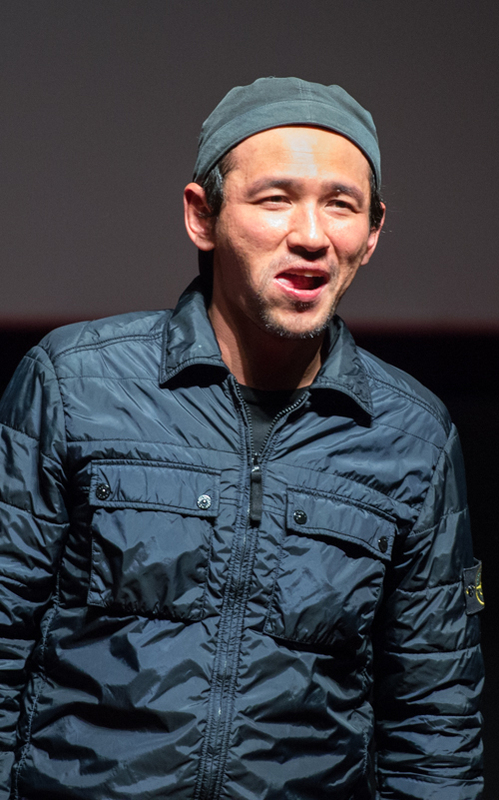 i love every single movies of yours, hwang jung min-ssi! Chloe-USA Oct 30 2016 3:32 pm Hwang Jung-Min you are a huge talent...remind me of Charles Bronson so much in Man in Love...you are a star that shines high above all others. You touch your audience and take them with you on quite the roller coaster...even as a bad gangster...you come across as human and not a monster..wish more of your projects come to the USA...Big Fan! You are very much an award-worthy performer! yybb Sep 19 2016 10:57 am a briliant actor. The Himalayas brought me here. wahyu Jan 21 2015 9:52 pm rock n roll brother !!! Lena Jan 05 2015 9:28 am Such a wonderful and brilliant actor! I am always amazed by his performances, sometimes even left speechless. He can pull off really anything. Definitely one of my favourite actors. Dheeraj.exe Jul 20 2014 1:47 pm I hate you most most...... I saw almost every movie released earlier than Man in love, But from "Man in love" , I almost cried to death after seeing your acting, meh please don't do such sad movie. I love you. BTW I like only three actors from S korea including you are Sol Kyung-Gu and Park Joong-Hoon. korina pappas Mar 28 2014 12:45 pm What a talented actor! He has the true quality for the cinema, something that can measure up to my all favorite Al Pacino and he is really capable into tranforming himself through the power of the scenarios! BRAVO for both the choices and the perfomances! korina pappas Mar 28 2014 12:36 pm What a talented actor! His plein face can develop into anything through scenarios and that is what we call cinema. His level is equal to Al Pacino, who is my favorite and I couldn't imagine that there was actually anyone, in any country, to be measured up to him! BRAVO for both the choices and the performances! gray Jul 25 2013 10:43 am upon watching the NEW WORLD, his character gave the the pleasing of a high end note! the versatile actor gaining my respect and he's one my favorite actor now! lurazop Mar 05 2013 2:24 am korea not always need face to bomb! Gasenadi Mar 11 2012 6:42 pm Am watching That Fool right now and am blown away by Hwang Jung-Min. Have written down all his movies and will see every one. From the trailers alone one can appreciate his versatility and range. I'm glad to have found a new favorite among the galaxy of my newfound Korean stars. Lourdes Oct 24 2011 9:16 pm I love Dong Baek. He is one of my favorites. He is really macho and very versatile. I'm planning to watch all his movies, old and new. Go Jung Min!! Zulhilmi Jul 15 2011 8:08 am just seen the accidental couple. I loved it so much! the storyline is great, nice background songs... his character is very unique!!!! love gu dong baek. oh, he is 41 years old, I can't believe it. Jung Min Fan Jul 14 2011 7:19 am I really fell for his naive but very loyal character in Accidental Couple...he is a hot, hot man...yummy! Moongazer Jun 18 2011 9:40 pm I saw Hwang Jung-Min, interview on Entertainment Weekly and he said that more men like him than women and that made him sad. I think he fails to realize that women do love him. I fell in love with his character and his acting on "That Fool" (The Accidental Couple). He was so adorable and he really played that role. He will always be one of my favorites.